Bleached and color-treated hair is hard to take care of due to their high porosity. Color treatments tend to make hair brittle due. They are very dry too, making it hard to style them especially when they have a rough texture. 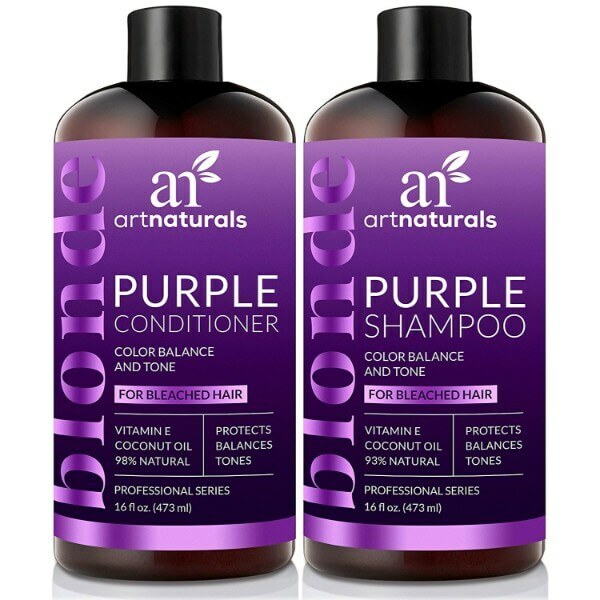 Art Naturals Purple Shampoo and Conditioner Set help improve hair health to make it shiny and beautiful again. 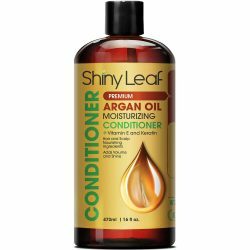 This is one of the best hair care products for color-treated hair. This set of hair formula is designed especially for bleached hair. 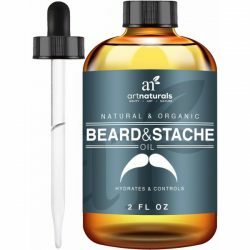 Both products contain various nourishing and moisturizing ingredients such as coconut oil. The formulas are rich in vitamin E too, which helps protect hair from damage and color fading. Moisture is important for bleached hair too. When color-treated hair does not get enough moisture, it breaks easily. This is because the layers of hair strands separate much easier due to dryness. Bleached hair tends to lose its light tone and gets a yellowish color with proper care. 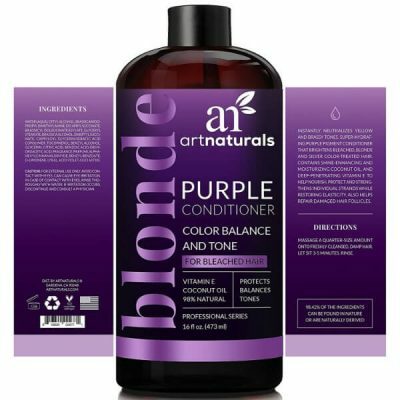 Art Naturals designed this set of Purple shampoo and conditioner to rejuvenate hair and keep the platinum tone. The formulas balance blonde and silver-colored hair for a sleek look. They contain violet pigments to prevent yellowing even as they improve the color of hair. 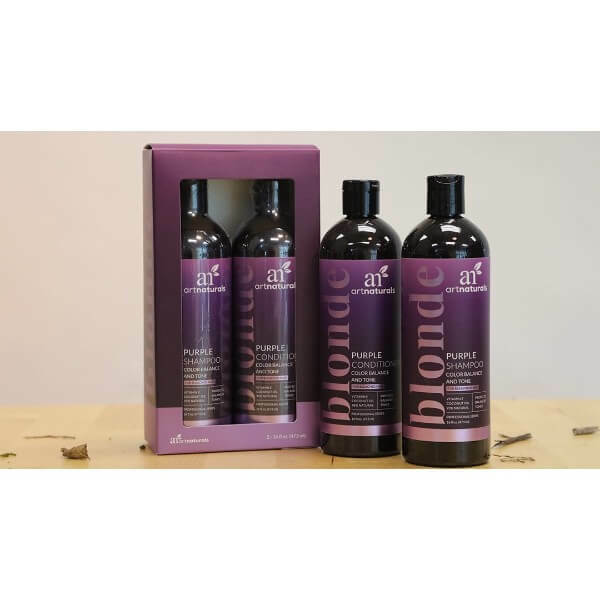 Art Naturals Purple duo does not contain surfactants to prevent hair from getting dry and losing color. They repair hair damage too such as split ends and high porosity. Regular use of the products nourishes hair for healthy hair growth. 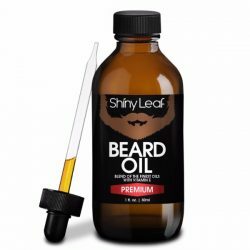 They fortify follicles to keep hair looking thick and voluminous too. 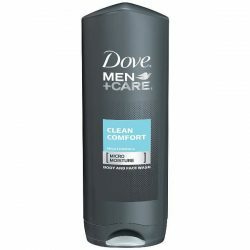 Make sure to use both the shampoo and conditioner for maximum results. Purple shampoos can be extremely drying, which is why it is important to use them only once a week or every other day. 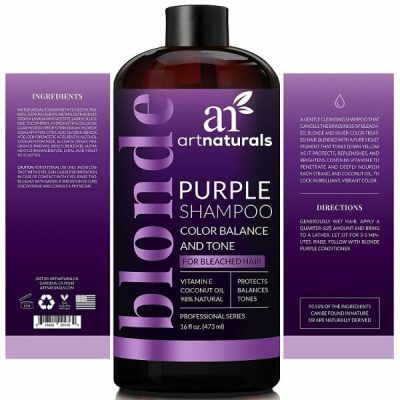 However, Art Naturals did not use drying ingredients in the formula of the shampoo and conditioner so they are safe to use daily on blonde or silver hair. Wring out excess water from hair after shampooing. Use a dime-sized amount of the conditioner and apply to hair from the midlengths to the tips. Massage on hair for 1-2 minutes and leave it on for another 2 minutes. Let it absorb on hair before rinsing off with lukewarm water.